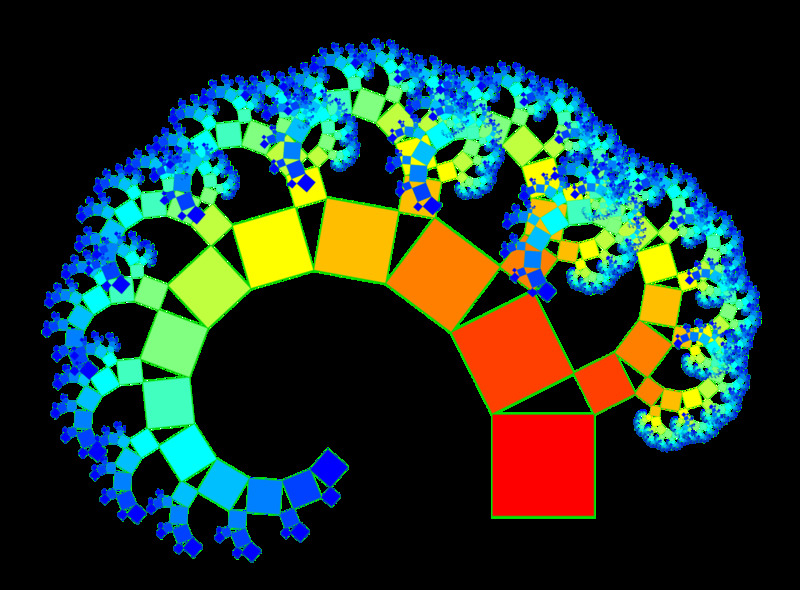 The Pythagoras tree is a plane fractal constructed from squares. Invented by the Dutch mathematics teacher Albert E. Bosman in 1942, it is named after the ancient Greek mathematician Pythagoras because each triple of touching squares encloses a right triangle, in a configuration traditionally used to depict the Pythagorean theorem. The finer details of the tree resemble the Lévy C curve. What does this mean? Any ideas? This must be something fundamental. 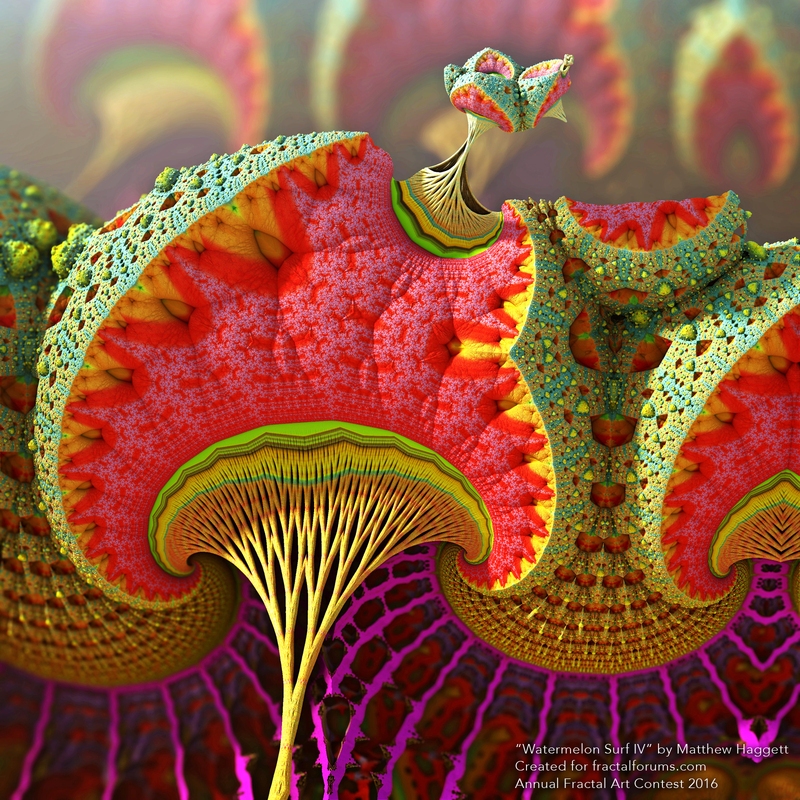 There certainly is a property of universality shared by mandelbrot. Jet it extends beyond higher dimension boundaries. Throught pythagoras tree is simmilar but not quite the same a surf or duckies trees or this could be just my visual perception. Removed Levy curves so that it would look smaller. comparing the behavior of the thermal entropy in terms of the temperature in these two cases. No, I was wrong. Tree pattern is identic to pythagoras tree. It too have conected branches just it is not so noticable becouse elements are more "fat". Of corse tree growth pattern is simmilar. It too have bifurcating branches. H - tree maybe. 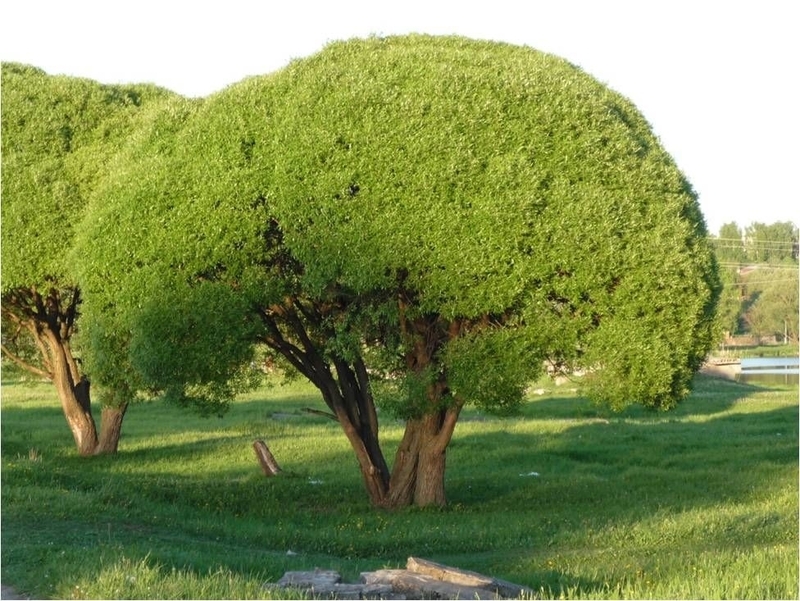 Of natural trees of temperate zone only willlows shows this growth pattern. Say birch or oaks have leading vertical growth. Willows allways lose top bud. 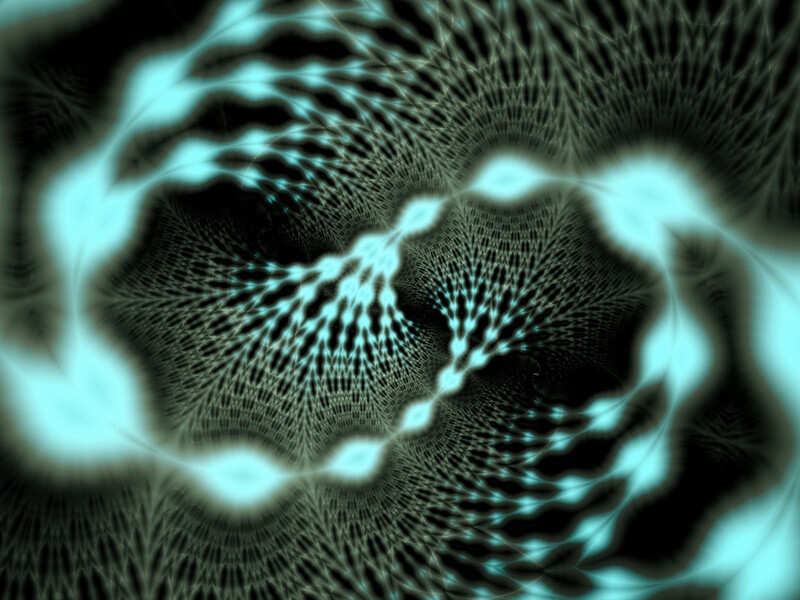 Somehow 3D iterated formulas converge with pure geometrical construction. Only other fractal shape with property of universality is mandelbrot, I think. I don't really understand what the enigma is, what is the question you are searching an answer for? Same figure appears all ower again. 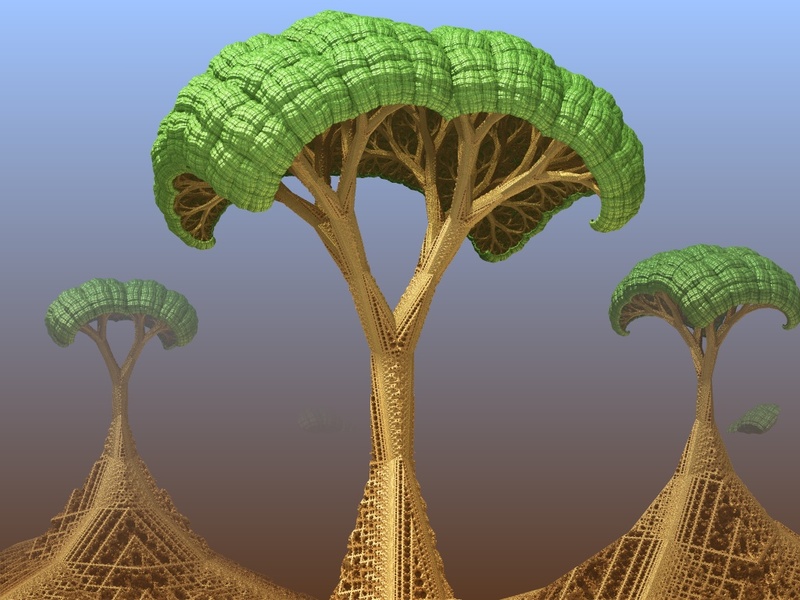 Be it rotation and folding based iterated 3D fractals, folding based 3D IFS, geometric construction L-systems or nature. Does this have some mathematical basis? 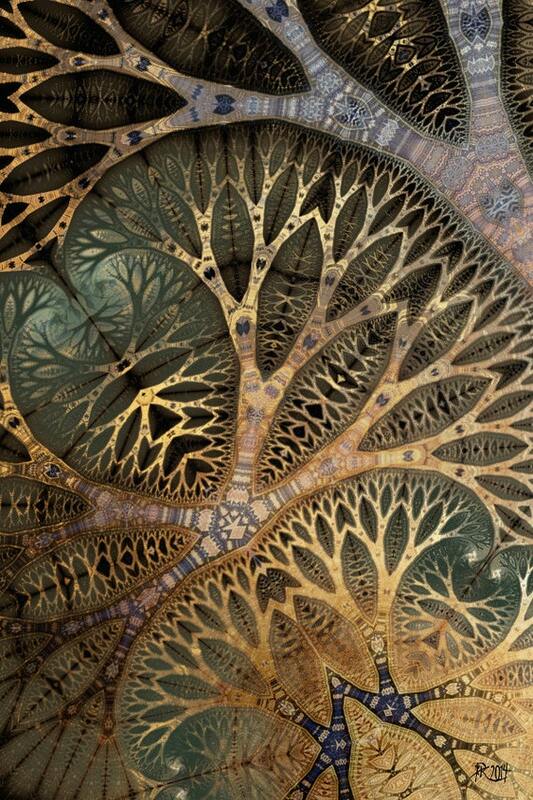 Could it be some universal figure like triangle or mandelbrot figure in 2D iterated fractals? (Well, it probably is.) But why? Probably this is just the most efficient growth pattern, self sustainable and it don't needs hudge genetic regulatory machinery - small branches don't need to know where they are on the tree. This is even a question of extraterrestrial life. If fundamental laws are the same then maybe trees on other planets should look pretty simmilar.